Anaxes was the fourth planet located in the Axum system of the Core Worlds, and was a fortress world known as the Defender of the Core by the Galactic Republic and later the Galactic Empire. It was located on the Perlemian Trade Route and shared its sun, Solis Axum, with Selgon, Grastes, Axum, Urfon, Phlors Rex, Phlors Regina, and Ichium. Anaxes was not as industrialized as Axum, but was more prestigious, home to many families associated with a tradition of service in the Fleet. It was home to Azure Motorworks, a major producer of luxury vehicles. Also an important Imperial military center, it held out for years before its last Commandant, Admiral Osted Wermis, surrendered to the New Republic. Anaxes itself was comprised of an ecumenopolis, in that it was a planetwide city. It was more reminiscent of a Green Coruscant, though, in that it was sprinkled with beautiful parks and green areas in and around the city. The primary icon of power for not only Anaxes, but the Azure Imperium and Imperial Navy, was Anaxes Citadel a massive complex of training schools, research labs, intelligence centers, offices, archives, and parade grounds that also served as the main governmental building on the planet. The terraced Sirpar Hills above the Citadel were dotted with estates held by families that may have not been Old Anaxsi, but whose names were synonymous with naval service. Sirpar Station was the dividing guardpost between the Hills and the Citadel. The planet also gave it's name to Anaxes Station, a space station near the planet, on the fringes of the Axum system. For tens of thousands of years the Anaxsi had inhabited Anaxes. They were descended from colonists who arrived to Anaxes and Axum on Sleeper ships from Coruscant. Before the Galactic Republic, the Anaxsi and residents from Axum founded the Azure Imperium. It's throne world was Axum, but it sprawled all along the Perlemian Trade Route. Anaxes served as the Imperium's chief shipyard and fortress; its location on the Perlemian made it a logical place to concentrate warships guarding the Core Worlds. The empire was peacefully absorbed by Coruscant centuries before the founding of the Republic. Seven centuries before the rise of the Galactic Empire, the mammoth Anaxes Citadel was built to further the navy's power and prestige. Tyber Zann was born on the world 34 years before the Battle of Yavin. 20 years before the Battle of Yavin, the Battle of Anaxes was fought between the Galactic Republic Victory Fleet, led by Captain Jan Dodonna and Captain Terrinald Screed, and the CIS Bulwark Fleet, led by Commander Dua Ningo. The Republic was eventually victorious after killing the CIS Commander and utterly destroying the fleet. This was a pivotal battle that decided who would control the Core Worlds and as such, the victors were widely proclaimed as heroes. During the time of the Galactic Empire, many career officers from "generational" families were cast aside for devotees of the Empire. But they also made sure the wellsprings of the Navy's tradition continued. Anaxes soon became the command center for the Imperial Center Oversector. Anaxes was also the command center for Azure Hammer Command, whose Super Star Destroyer Whelm and fifty-seven other capital ships defended Sector Zero. A separate command called Azure Shield was created to protect the Azure Sector and its neighbors. Until the Battle of Yavin, Azure Hammer Command, the Anaxes Citadel, and all forces in Sector Zero were commanded by Grand Admiral Osvald Teshik. 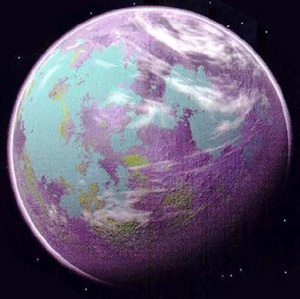 Anaxes changed hands several times as various warlords tried to succeed Palpatine, but planet fell into New Republic control when handed over by Osted Wermis. It presumably was where the Treaty of Anaxes was signed.